You may recall an April 2018 report that revealed censorship of a National Park Service report on the effects of rising sea levels and storm surge on America’s national parks. That report specifically mentioned anthropogenic (human-caused) climate change as risk factors. At the time, Interior Secretary Ryan Zinke swore up and down that the Department of the Interior was not censoring science, but the Center for Investigative Reporting’s findings showed otherwise. The organization analyzed 18 versions of the National Park Service report and found that mentions of anthropogenic climate change and references to “human activities” causing climate change were removed. 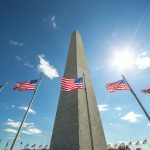 Civics Lesson: National Parks in Washington, D.C. The nation’s capital is home to 25 national parks which hosted 42,459,338 visitors in 2017. Among those parks are the African-American Civil War Memorial, which honors African-Americans’ service and sacrifice during that war; Ford’s Theatre, where President Abraham Lincoln was assassinated; the Lincoln Memorial and the Washington Monument; the National Mall; and the Martin Luther King, Jr. Memorial. They also host numerous events for people of all ages and interests. National Park Service spokesman Jeremy Barnum said the report went through “the usual editing process,” and that he is confident in its scientific accuracy. 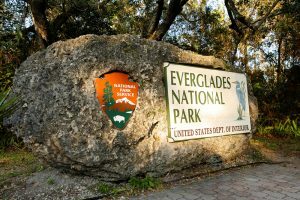 “The report has undergone several rounds of internal and external scientific peer review to ensure that it is most helpful and relevant to the intended audience of park managers and planners, and accurately portrays scientific understanding of how a changing climate and associated sea level rise can affect national park infrastructure, facilities, and resources,” Barnum said in a statement. The report examined 118 of America’s national parks for risks from rising sea levels, and 79 for risks from storm surge. It used findings from the United Nations’ Intergovernmental Panel on Climate Change and the National Oceanic and Atmospheric Administration for its analysis. It turns out that the NPS’s National Capital Region, which includes the National Mall and many historic monuments in Washington, D.C., is at risk for the highest rise in sea levels. At highest risk for storm surge losses are the parks in North Carolina’s Outer Banks. “Sea level change and storm surge pose considerable risks to infrastructure, archaeological sites, lighthouses, forts, and other historic structures in coastal units of the national park system,” the report read. Why and how the report was released publicly with information about human-caused climate change intact, we will probably never know. But it does provide a glimmer of hope that at least some government agencies are admitting the risk and preparing for it as best they can. Where Did Climate Change Go? Why Am I a RepublicEn / EcoRight?